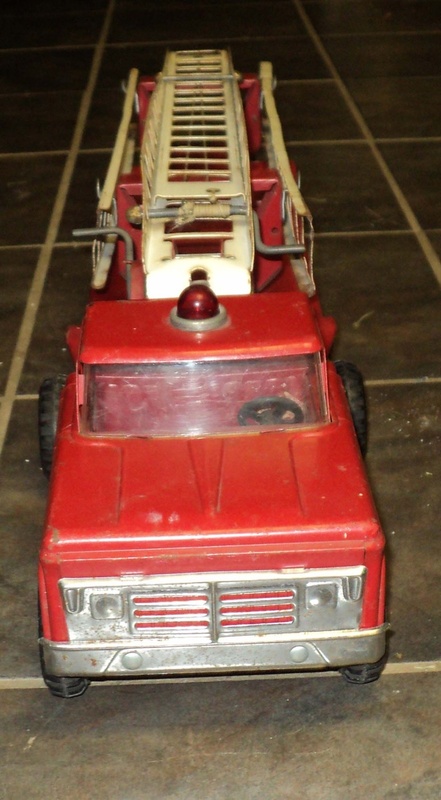 In Firefighting > Model Fire Trucks > Show & Tell. I can not find a picture of this any where. It has never been sold on ebay. 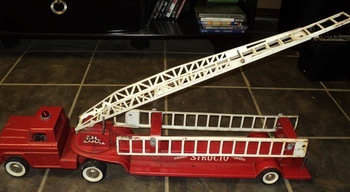 And even on the Structo site there is no information on this particular fire engine. Andy help would be greatly appreciatted. I'm not sure what you need to know but I can tell you it is a late 60's early 70's truck. It is not rare but not as common as the older Ford looking trucks. Your truck is the first of the total generic line of trucks and not as desirable as the older Ford trucks. Not an uncommon fire truck. But still, a very good piece to have. Buddy L and Tonka made fire trucks that weren't very dissimilar to this throughout the late '50s and most of the '60s. I'd put this Structo in the same era.